Do video games need advertisements? 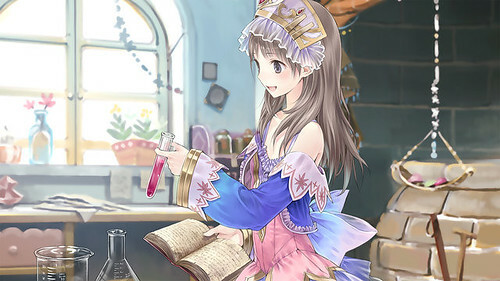 Atelier Totori Plus: The Adventurer of Arland sneaked on to the playstation store on 19 march leaving everyone quite surprised.Even more staggering was the publishers lack of effort in making any kind of promotion prior to the relase.There was not a single trailer of the game to be found to celebrate its release. John McCarroll of rpgfan was quite right in being cross with this development.He also noted that Techmo Koei’s other games both on vita and other platforms were treated a lot better. Four separate press releases for Dead or Alive 5 Plus since the beginning of 2013, including screenshots, logos, and lengthy explanations of game system changes. Six press releases for Ninja Gaiden titles – three for Ninja Gaiden Sigma 2 Plus and three for Ninja Gaiden 3: Razor’s Edge. All of these include trailers, screenshots, and other assets you’d expect. Two press releases each for the beat-‘em-ups Fist of the North Star: Ken’s Rage 2 and Dynasty Warriors 7 Empires. Monster hunter freedom unite is still the top selling psp game on psn. Atelier Totori Plus: The Adventurer of Arland was the top selling vita game on the psn for the month of march. What the heck?Now there are no actual sales numbers but it is still quite an achievement that the game managed to top the sales charts.This re-affrims my belief that video game advertisements are actually quite pointless.Most of the gamers like myself get their news from gaming sites.An advertisement on TV or youtube would not persuade or dissuade me from buying a game.I do like to see opinions on the game of the reivewers that I trust,Jhon being one of them.So I think that Atelier has managed to do as well as it could have done with or without any kind of promotion. that’s a slap in the face to RPG fans. No arguments there.The point of a relase campaign is not to increase the sales of the game.It is asking for support from your fans.Tecmo has really let their fans down.They should be thankful that their fans have not let them down.